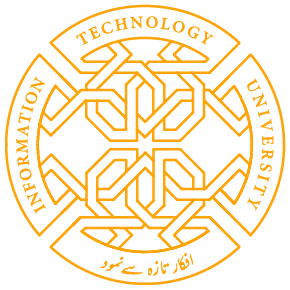 The Punjab Information Technology Board (PITB)’s School Information System (SIS) being one of the largest school information management system in the world has enrolled 11.4 million (11,457,895) students. This was informed in a progress review meeting presided over by Dr. Umar Saif Chairman PITB here today. Addressing the meeting Dr. Umar Saif said that enrollment system would be beneficial to report daily attendance of students and teachers of each school on computer tablets in real time to monitor the educational activities in the schools. Every student was now individually tracked through SIS, which would be equally helpful for the parents and guardians to know the presence and progress of their ward in school, he said. The meeting was informed that out of 48,153 active schools 48,105 schools were utilizing SIS while 352, 060 teachers have been registered in 46,575 schools of the Punjab. A number of 46,414 schools have been equipped with tablets and 39,887 support staff of 11,809 schools in the Punjab province were registered, it was briefed. The web-based online system has resulted into an automated solution to eliminate the ghost teachers and schools from the province of the Punjab and to focus on the educational progress to deal with the promotion of literacy in the Punjab. Share the post "PITB’s SCHOOL INFORMATION SYSTEM AMONG LARGEST IN WORLD ENROLES 11.4 MILLION STUDENTS-DAILY ATTENDANCE OF STUDENTS ON TABS STARTS FROM"